University College Maastricht Scholarship is being offered by Maastricht University for the students enrolling in Bachelor Courses in University College Maastricht. 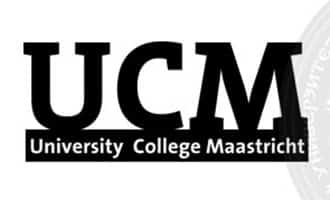 Eligibility: The University College Maastricht Scholarship is available to the students accepted to the Liberal Arts & Sciences programme of UCM for the September intake. Scholarship Amount: Total 5 students will be selected for the award of the scholarship and will get approx. INR 8 lakhs covering their Tuition Fee, Insurance, Visa and monthly living allowance. Application: The applications for the scholarship will be accepted online using the MyUM portal and the last date to complete the application process is January 05, 2015. Subjects: Liberal Arts & Sciences programme. Nationality: University College Maastricht Scholarships are available to citizen of Non-European Union countries. Academic Qualification: The candidate needs to have an excellent academic record in his qualifying examination for the relevant study program in University College Maastricht. Financial Status: The student should belong to low-income group. Tuition Fee: The complete tuition fee of €10,000 (Approx. 7.2 Lakhs) will be paid by University College Maastricht. Cost of Visa: The visa cost of the selected students will be covered by the scholarship and for that 300 Euro (Approx. INR 21,000) will be paid. Insurance: 500 Euro (Approx. 36,000 INR) will be provided to cover the expenses on Insurance. Monthly Living Allowance: The selected candidates will get monthly living allowance of 500 Euro (Approx. 36,000 INR). Housing: The housing arrangement for the candidates will be done by University College Maastricht. Application Form: Candidates can obtain the application form from the official website of the University. >> Click here to download the application form. Parental Financial Information: Candidate should give the detail of the combined gross annual income of their parents and the number of dependent children whose tuition fee is paid. Financial Information from School: In case the current school of the applicant provides any financial information related to the candidate then it should be indicated in the application form and the information is to be sent separately. Details of any other scholarship: In case the student has made application for any other scholarship or have been granted any other scholarship, the details should be mentioned here. Explanations & Comments: The candidates can provide any additional information in this section which relates to the financial status of the candidate. Submission: The application form is to be submitted after logging in to the MyUM section of the website under ‘Apply for Scholarship’ section. >> Click here to visit MyUM. Result: The candidate selected for the scholarship will be provided with their written result in the month of March 2016.